Colon cancer one the most common type of cancers among both men and women. In fact, it’s the second leading cause of cancer mortality in America (1). Common risk factors include heavy drinking, high fat intake, being overweight, and having inflammatory bowel disease. Colon cancer can be detected through regular rectal exams as it usually takes about 20-30 years for the cancer to develop. Treatment often requires surgery and chemotherapy. But despite all these counter-measures, the disease currently has a low survival rate. That’s why researchers are looking towards natural medicine to find more effective and less toxic alternatives to these traditional methods. Surprisingly, coconut oil is showing to be a very promising contender. It contains lauric acid, which is an anti-viral, antimicrobial and anti-fungal compound also found in human breast milk. If that weren’t enough, lauric acid induces colon cancer cell death (apoptosis) due to induction of oxidative stress (3). Lauric acid actually makes up about 50% of the medium chain triglycerides (MCTs) found in coconut oil. 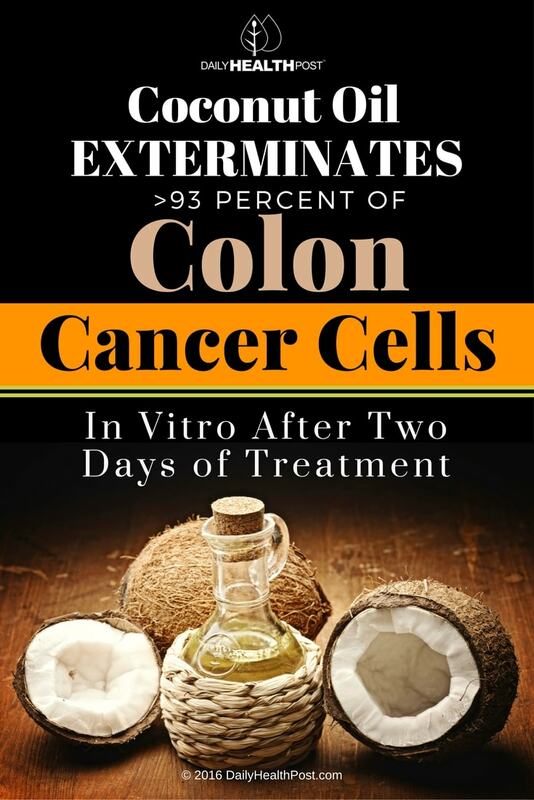 A study by the University of Adelaide discovered this component completely exterminated more than 93 percent of colon cancer cells after just two days (4). In comparison, chemotherapy typically last 4-6 months and often require tumor removal (5). Chemotherapy also damages your body as it cannot distinguish between cancerous, precancerous and normal cells. Coconut oil, on the other hand, nourishes your healthy cells. 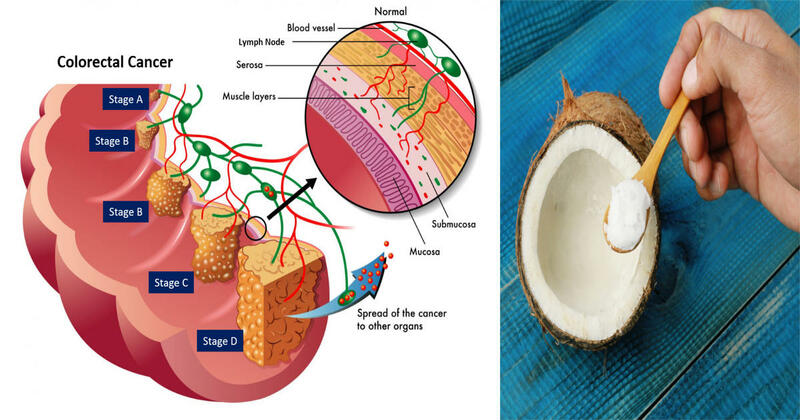 The researchers stressed that coconut oil has demonstrated a lot of potential in treating other cancers of the digestive tract and of the body, but that further research must be done in order to truly understand how to use coconut oil medicinally. For the time being, leading a healthy lifestyle with proper nutrition and regular activity dramatically lowers our chances of developing colon cancer. You can also add more coconut oil to your diet as well incorporate other cancer-fighting foods.